Commissioned by the British Federation of Music Festivals, with funds provided by Yorkshire Arts Association, Three Dances for Clarinet Choir received its first performance under the direction of John Reynolds, to whom it is dedicated, in July 1985 in Harrogate. The first movement, with its constantly changing metre and infectious rhythms, is based on a dance originally sketched for the masque in an abandoned production of Troilus and Cressida. The Andante con moto, with its alternating passages of three-four and three-eight time, is suggestive of a ‘pas de deux’ where a gentle, slow waltz-like tune is contrasted with a ländler-like melody. This movement leads without a break into the final Allegro, a rumbustious ensemble dance with a definite ‘Slavic’ feel to it. 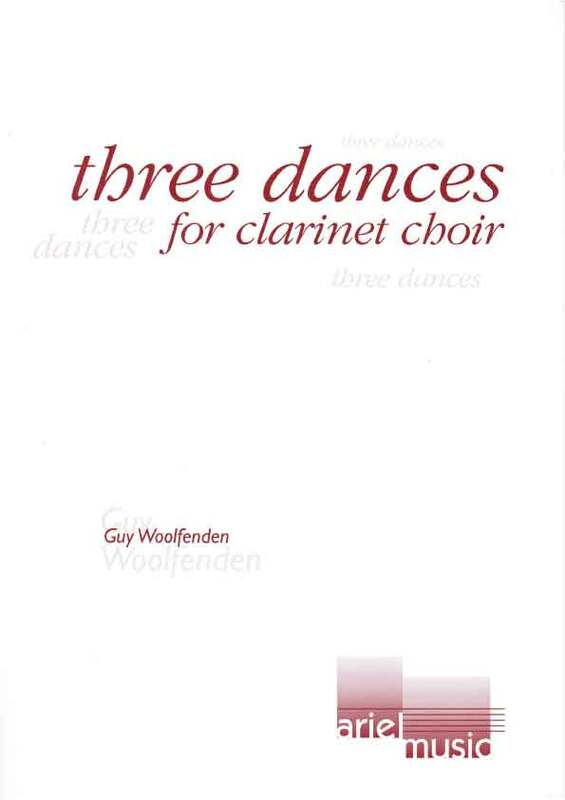 Filling out the CD are two other works: Guy Woolfenden’s Three Dances for Clarinet Choir and the familiar Concertino arranged by Gordon Jacob from sonatas of Tartini, presented here in the version for soloist and clarinet choir. Woolfenden’s dances were written in 1985. The entire work is fresh, cheerful and popular in tone, with hints of eastern European folk style in the first and third movements. The British Clarinet Ensemble deserves heartiest congratulations for this terrific CD. The playing is first-rate and the composition of the highest quality.